"Oscar's peculiar ability appears to be as real as it is mysterious, and he continues to hold vigils over departing patients." It happens sooner or later to everyone who remains intoxicated with life for too long. The vibrancy and enthusiasm of youth give way to the infirmities and despair of old age. Cats and lovers die and the world changes so rapidly that it is barely recognizable anymore. Finally, all that remains do be done is to take that last journey and even that is an especially wearisome task for those who have lost everything. Thankfully, the terminally ill at Steere House Nursing and Rehabilitation Center in Providence, Rhode Island, have Oscar. To the consternation of the members of the scientific community, he is able to more accurately predict the arrival of the Grim Reaper than they are and, having just celebrated his fifth birthday, is still going strong. 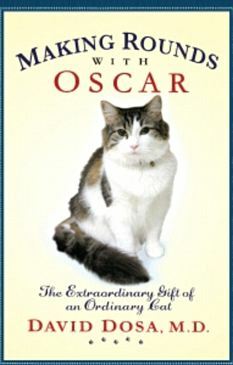 In February of this year, Dosa expanded that article into a new tome entitled Making Rounds with Oscar. The Extraordinary Gift of an Ordinary Cat. Published by Disney's Hyperion, as of today it was ranked at number 1,583 on Amazon's bestseller list. The book does not break any new ground other than to update the number of deaths correctly predicted by Oscar from twenty-five to fifty. Dosa does admit, however, that when it comes to predicting the end even Oscar is not always on the money all of the time. Adopted from a shelter in 2005, Oscar at first was standoffish and kept pretty much to himself. After about six months at Steere House, which specializes in the care of elderly patients suffering from dementia, he inexplicably started entering the rooms of patients, hopping in their beds, and snuggling up with them. While there certainly was not anything out of the ordinary about that, staff at the nursing home soon noticed that those patients befriended by Oscar all died within a few hours of his arrival. Once they had passed on he discreetly would exit their rooms with no more fanfare than he had arrived with earlier. Even more telling, Oscar never has shown an inkling of interest in either healthy or sick patients. Throughout his tenure at Steere House his sole preoccupation has been with those whose ultimate destination is, to quote Hamlet, that "undiscovered country from whose bourn no traveler returns." "This is a cat that knows death," Dosa told The Boston Globe on July 26, 2007. (See "With a Purr, Death Comes on Little Cat Feet.") "His instincts that a patient is to die are often more acute than the instincts of medical professionals." Various theories have been put forward over the years in an effort to make sense of Oscar's special skill. The most convincing of which maintains that he is able to smell subtle metabolic changes in patients that are about to die. C'est-à-dire, death has its own peculiar smell that eludes humans but not Oscar's highly-developed sensory perception. Another theory stipulates that Oscar simply is mimicking the behavior of nursing home staffers and thereby wants to comfort the dying. Others contend that he is attracted to the warm blankets, dim lights, soft music, aromatherapy, and stillness that accompanies death. It also has been suggested that Oscar is drawn to patients that do not move too much and as a consequence are unlikely to give him any trouble. The most logical explanation is that Oscar is psychic but since that sort of thinking is anathema to most scientists it nearly always is rejected out of hand. Although he certainly is not convinced of its veracity, Dosa is an exception to the rule in that he at least is willing to admit that it is an outside possibility. "Science has taken us a long way in our profession, but we still just scratch the surface," he wrote in an excerpt from his new book that was published in the Daily Mail on February 6th. (See "Meet Oscar, the Cat Who Knows Too Much...") "The rest remains a mystery. Maybe some people just know when their time has come. Some cats, too." An unidentified veterinarian contacted by the web site Le Post, a subsidiary of Le Monde, quickly dismissed the notion that the tomcat was attempting to resuscitate his companion. Instead, she argues that he knew that she was beyond all mortal assistance and that his kneading and purring were merely his way of coping with the grief occasioned by her death. "A mon avis, mais ca ne reste que mon avis, et je peux me tromper, le chat vivant connait l'animal qui est mort, et l'angoisse de le voir inanime provoque ce ronronnement et petrissage de stress," she told Le Post on April 23rd. (See "Video: un chat fait un massage cardiaque sur un autre chat? Ben voyons.") "Cherche-t-il a apporter du bien etre a l'animal mort, ou a exprimer ainsi sa detresse...mystere!" It is well understood that kittens knead their mothers breasts in order to stimulate the flow of milk and that their accompanying purring is an expression of their happiness with the result. This behavior also can be witnessed in contented adult cats who sometimes will purr loudly and knead either the blankets or clothing of their caretakers, especially after they have been fed. What is considerably less appreciated is that cats sometimes knead and purr in reaction to stress and traumatic events in their lives. It is the equivalent of crying in humans. "De facon plus surprenante, il est frequent de voir un chat subissant un gros stress ou un chat en fin de vie (detresse physique, douleur...) se mettre a ronronner voire a petrir," the vet continued. "L'explication exacte n'est pas connue mais il est coutume de dire que le chat exprime ainsi son desarroi..."
Therefore if this veterinarian is correct in her assertion that cats are able to comprehend death it would not be surprising that Oscar is able to anticipate it, especially in an environment such as Steere House that is literally saturated with it. Cats, after all, are extremely fast learners. Moreover, cats are far from being the only animals able to anticipate the deaths of others. 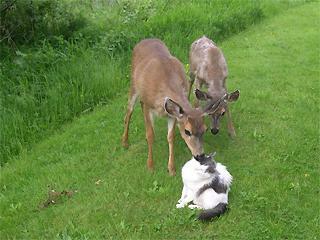 For example, in May of 2006 a terminally ill nine-year-old cat named Sammy from Bellingham, Washington, was comforted during his final days by deer who appear to have known that the end for him was near. Regardless of how he does it, Dosa has seen enough to realize that Oscar's ability is genuine. "Oscar's peculiar ability appears to be as real as it is mysterious, and he continues to hold vigils over departing patients," he wrote in the excerpt from the Daily Mail cited supra. In the final analysis it really does not make any difference how Oscar does it. As Gore Vidal once pointed out, "It is the spirit of the age to believe that any fact, no matter how suspect, is superior to any imaginative exercise, no matter how true." Animals should be accepted and respected for what they are and for the beauty and joy that they bring to this world. If more individuals were less self-centered they soon would realize that there is much that they could learn from them, such as an appreciation for the diversity of life, compassion, and their total lack of malice. Not only is his ability real but he takes his job of shepherding dying patients out of this world and into the next one even more seriously than do either Dosa and his colleagues or their families. Whereas they routinely abandon the dying to their own devices, Oscar stays with them until the very end. "It's not like he dawdles. He'll slip out for two minutes, grab some kibble, and then he's back at the patient's side," Dosa related to the Daily Telegraph on February 1st. (See "Cat Predicts Fifty Deaths in Rhode Island Nursing Home.") "It's like he's literally on a vigil." His timely intervention also provides the staff with an opportunity to contact a dying person's family. Family members are thus able to see the dying person one last time. Occasionally, the family of a terminally-ill patient will resent Oscar's presence and demand that he be evicted. On these occasions Oscar demonstrates his displeasure by yowling in protest and pawing at the outside of the patient's door. Generally speaking, however, most families appreciate Oscar's concern and diligence. "People were actually taking great comfort in this idea, that this animal was there and might be there when their loved ones eventually passed," Dosa added for the Daily Telegraph. "He was there when they couldn't be." This is doubly true for those patients without families in that Oscar's presence ensures that they are not forced to make that final journey all by their lonesome. Of course, it is conceivable that some of them may be too far gone mentally to even realize that he is with them although perhaps they are able to at least sense his presence. Patients, loved ones, and staffers at Steere House are indebted to Oscar for the invaluable service that he is providing to humanity. Although the facility currently has five other resident felines, none of them have shown any interest in dying patients. Dosa therefore has done Oscar a disservice by labeling him as an ordinary cat. Clearly, there is absolutely nothing commonplace about either him or the service that he is providing. He truly is a marvel to be treasured by one and all. Photos: Daily Mail (Oscar, book jacket, and Dosa with Oscar), netegel.com (Turkish cats), and Margie Scott (Sammy with deer). "I thought the antics in the delivery van topped the cake, but she (Emme) continues to outdo herself. Hopefully, this one teaches her a lesson." Luckily for her, an unidentified resident from the neighborhood just happened to notice her plight and promptly contacted Animal Control Officer Hilary Cohen who in turn summoned the local fire brigade. The rescue team attempted to free the gray cat but that effort ultimately proved to be unsuccessful. They instead were forced to remove the entire grate with Emme still trapped inside it and cart it to Acorn Animal Hospital twenty kilometers away in Norton where Emme was sedated and eventually freed. Emme, who suffered unspecified minor injuries, was held overnight at the hospital before being returned the following day to her relieved owner, Lee Ann Spiess. "She's doing just fine," she told The Sun Chronicle of Attleboro on April 16th. (See "Norfolk Woman Reunited with Her Rescued Cat.") "She's home and she's not looking to venture too far, hopefully not for a while." Emme showed up hungry and as skinny as a rail at Spiess's door nine years ago and has been an integral part of the family ever since. She apparently either likes to go exploring or simply is unlucky because she sometimes gets into trouble. For example, she wandered into the back of a delivery van a few years ago and was subjected to a hair-raising tour that covered a good portion of the Bay State. Once again, she somehow managed to come through that misadventure unscathed and, just as importantly, find her way back to Spiess. "I thought the antics in the delivery van topped the cake, but she continues to outdo herself," Spiess told The Sun Chronicle in the article cited supra. "Hopefully, this one teaches her a lesson." Like Emme, they too made it out alive thanks to the timely intervention of local Animal Control Officer Karen Stone. With the frightened kits nipping at her gloved hands and their nearby mother threatening violent intervention, Stone first tried lubricating their heads with petroleum jelly and corn oil but neither ploy worked. Through a process of trial and error, she finally hit upon dishwashing detergent and that did the trick. After she had tediously manipulated their heads back through the grate she collected them in a cage and drove them back to their den where she humanely released them. "Except for being a little soapy, I think they were okay," she told the Hartford Courant on April 13th. 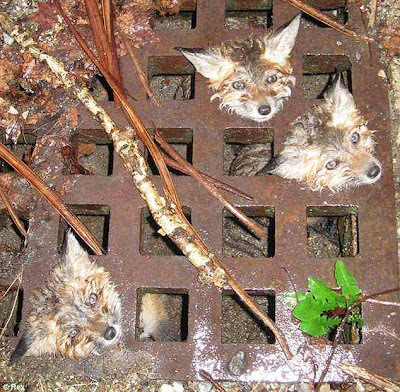 (See "In Plainfied, Three Fox Pups Stuck in Storm Drain Grate Are Rescued.") Like Spiess with Emme, she hopes that the kits have learned to avoid grates. Since records are not kept as the number of cats and wild animals that die in storm drains, it is not known how big of a threat that they pose. It might be economically feasible for municipalities to outfit these drains with screen wire or some other porous covering that would prevent the types of mishaps that Emme, Piper, and the fox cubs have experienced. Newer storm drain grates, such as those that are installed in developments, should have significantly smaller openings in them. None of these remedies, however, are going to deter individuals from disposing of used motor oil and other harmful pollutants down storm drains. Finally, it is imperative that cat owners add storm drains to the list of places that must be checked whenever their cats disappear. To her credit, Stone has pledged to occasionally check the storm drain that caused the kits so much anguish. 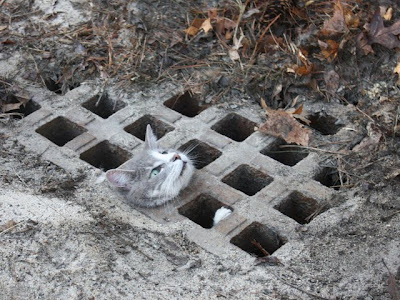 It is a terrible thought to contemplate but any number of cats could be either slowly wasting away or being preyed upon by wild animals right under their grief-stricken owners noses in storm drains at this very moment. Photos: Fox-25 of Boston (Emme), Daily Mail and Rex (Fox cubs), and Scott MacDonald of The Californian of Salinas (Piper). "Es klingt verrueckt, aber ich will meine Cecilia heiraten." "Do you, Uwe, take Cecilia to be your wedded wife? To have and to hold from this day forward, for better or worse, for richer or poorer, in sickness and in health, forsaking all others, and to be faithful only to her for as long as you shall live?" "And you, Cecilia, do you take Uwe to be your wedded husband? To have and to hold from this day forward, for better or worse, for richer or poorer, in sickness and in health, forsaking all others, and to be faithful only to him for as long as you shall live?" 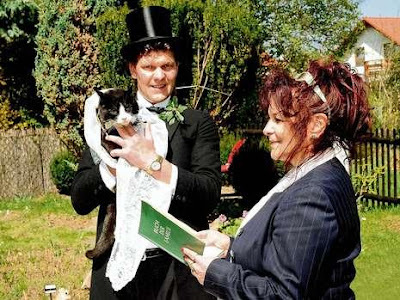 The garden ceremony was presided over by fifty-six-year-old Schauspielerin Christin-Maria Lohri of the long-running television show Polizeiruf 110; she was paid three-hundred euros for her services. 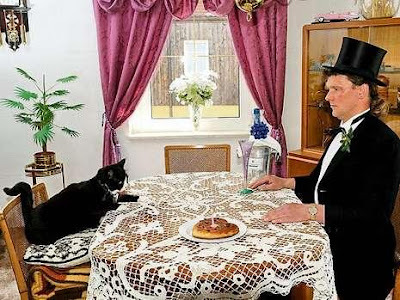 Uwe's twin brother, Erik, served as his brother's best man but apparently no female cat could be rounded up in order to serve as Cecilia's maid of honor. Also, with her old man long gone, there was no one available to officially give away the bride. 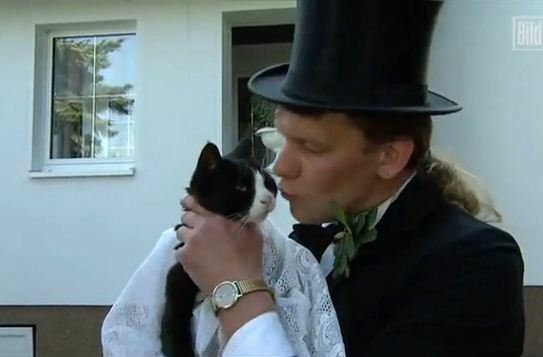 The groom was resplendent in a tuxedo and a top hat while his lovely bride wore a white dress. Some toms from the neighborhood reportedly have questioned the appropriateness of the bride's decision to wear white but that is of no consequence. Besides, it most likely is sour grapes anyway. Like any traditional ceremony, the deal was sealed with a kiss. Flowers, a wedding march, and the cutting of the bridal cake followed. Breakfast the next morning consisted of fish and a saucer of milk for Cecilia while Uwe, who also dined on fish, celebrated with a glass of champagne. This is Uwe's first trip down the aisle and it is a good bet that the same can be said for Cecilia. 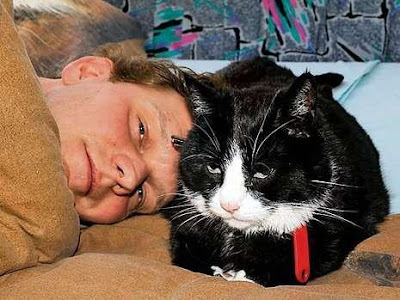 Moreover, some would argue that it was high time that Uwe made an honest cat out of Cecilia in light of the fact that they have been living in sin ever since they met at Sassnitz on Ruegen Island, Mecklenburg-Vorpommern, more than a decade ago. Although Uwe and Cecilia always have been especially close, the decision to tie the knot was made only after she was diagnosed to be suffering from asthma. Sadly, it is feared that the eight kilogram female's days are numbered. Just as is the case with humans, asthma causes the bronchial tubes in a cat's lungs to contract and this stimulates the flow of mucus. That in turn leads to labored breathing, coughing, and wheezing. The condition can be triggered by a host of environmental irritants. At the top of the list are secondhand tobacco smoke as well as vapors emitted by fireplaces, scented candles, and plug-in air fresheners. Even too much cold, moist air can cause problems. Other potential causes are pollen, aerosol sprays, mold and mildew, dust mites, certain types of cat litter, and stress. Because of their small lungs and incessant grooming, exclusively indoor environments usually are lethal to cats. Besides tobacco smoke, illicit drugs that are smoked can damage a cat's lungs as well as the presence of lead, particularly in toys, and mercury. Asthmatic attacks in cats usually are treated with anti-inflammatory and bronchodilator drugs as well as steroids that either are taken orally or inhaled. Providing a cat such as Cecilia will a calm and stress-free environment also would help as well as seeing to it that she maintains a healthy weight. Despite the fact that in human terms his bride is the equivalent of seventy-six-years-old, the pair seem to be made for each other. "Cecilia hat so ein zutrauliches Wesen. Wir schmusen staendig, sie schlaeft seit Anbeginn in meinem Bett," he confided to Bild. "Zwischen uns ist solch innige Verbindung, ein Gleichklang der Herzen; es ist einzigartig!" At first, the stand-in preacher had her doubts but she soon was won over by Uwe's earnestness. "Ich dachte erst, es ist ein Scherz," she told Bild. "Doch fuer Herrn Mitzscherlich geht ein Herzenswunsch in Erfuellung." The newlyweds have not publicly disclosed where they plan on spending their honeymoon and it is perhaps just as well in that they have been hounded both day and night by the international media following the announcement of their nuptials. "Pausenlos muss ich Interviews geben," Uwe told Bild on May 5th. (See "Eine Katze geht um die Welt.") "Aber fuer meine geliebte Cecilia mache ich es gern." As is the case with all marriages, there are bound to be little differences of opinion along the way that will have to be resolved. For starters, there is the language barrier. That should not pose too much of a difficulty in that since they have been together for such a long time some Deutsch surely must have rubbed off on Cecilia whereas Uwe most likely has picked up a little cat talk. Besides, it sometimes is a blessing that couples do not fully understand each other. At least that is the considered opinion of none other than 007, Sean Connery, who insists that his wife, painter Micheline Roquebrune, does not comprehend a word of English whereas he steadfastly refuses to learn French. If that is indeed the case, they surely must converse in what Rousseau once called "nature's voice." Then there is the problem of the inordinate amount of time that Uwe spends away from home delivering parcels for DHL. Certain incongruities of taste, such as Cecilia's love of milk and Uwe's probable fondness for German beer, will need to be resolved. He also may want to follow the German football team's progress at next month's World Cup in South Africa whereas Cecilia most likely would prefer to watch one of either Walt Disney's or DreamWorks' productions. These are minor problems, however, that should work themselves out in time. So far, it appears to be nothing but smooth sailing for the happy couple. "Alle sollen sehen, wie gluecklich wir sind," he told Bild on May 5th. Hopefully, the veterinarians are wrong and Cecilia will be with Uwe for a long time to come. Alles Gute, Cecilia und Uwe! Photos: Olaf Rentsch of Bild. "Cat after cat has sat out there and just withered away." On a more mundane level, he used his periodic newsletters in order to promote himself as a man who not only cared deeply about cats but also as one who was intimately involved in veterinary research. For example, in his August of 2008 newsletter he claimed to be working on a modified cobra venom serum that was supposed to cure Feline Leukemia (FeLV). Knowledgeable residents of southern Florida knew an altogether different Swee. To Palm Beach County Animal Care and Control he was a hoarder who kept four-hundred cats in squalid conditions at his Boca Raton home. That was in 2003 and after his run-in with the authorities there he simply moved his operation to Clewiston where he set up shop a few months later as Tenth Life. It did not, however, take long for him to once again run afoul of the law. For instance, Jay Senter of Friends of Surfside Cats gave him $16,000 in desperation to take a dozen cats off of his hands. That was a monumental lapse of judgment that he later would come to regret. At the insistence of Surfside Cats and WPBF-TV, the Hendry County Sheriff's Department and Florida's Department of Agriculture and Consumer Services opened an investigation into Tenth Life but nothing came of it. Business went on as usual at the sanctuary until the middle of last year when all hell broke loose. That was when a disgruntled former employee and her colleagues broke into the compound and documented wholesale feline abuse and neglect. On October 28th, they disclosed to the world exactly what they had discovered in a silent video entitled "Suffering of Cats at Tenth Life Sanctuary." Since its posting on YouTube, it has been viewed more than fifty-one-hundred times. Several cats that appear to be dead are clearly visible in the video and many more appear to be suffering from facial diseases of one kind or another. Others are drooling at the mouth, some have blood running from their eyes, and still others are missing patches of fur. Several of the buildings are in disrepair and litter boxes do not appear to have been emptied in quite a while. The activists also claim that both food and water were in short supply. As far as it is known, some of the cats were kept in outdoor enclosures whereas others were confined to cages in a barn and at other locations where temperatures sometimes exceeded one-hundred degrees Fahrenheit. In that stifling environment, the caged cats also were deprived of both sunlight and fresh air. 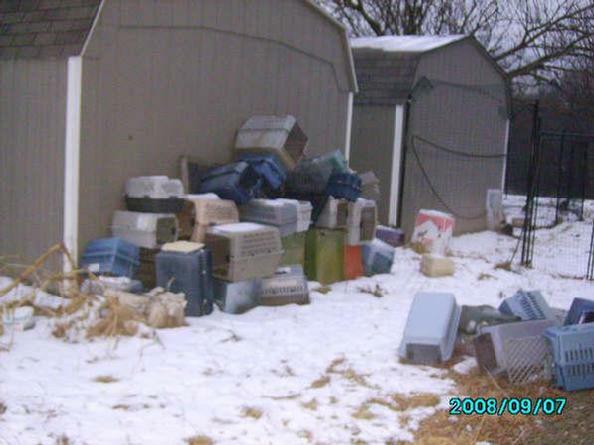 The animal rights activists also claim to have discovered a freezer full of dead cats and a cemetery that contained the remains of hundreds, if not indeed thousands, of cats. It thus would appear that the "lifetime (of) care for sick, unwanted, and feral cats" that Swee promised in his newsletters more closely resembled Thomas Hobbes' state of nature where life was said to be "nasty, brutish, and short." As the years have dragged on more and more individuals have come to experience the pangs of remorse that Senter felt back in 2003. One such individual is Tara Peterson who gave twenty-three cats to Tenth Life. "Rallying them up on that day was stressful, but I kept telling myself 'they're going to a better place'," she told WZVN-TV. "I (later) just felt sick. I was like 'what have I done'?" Swee from the outset denied the charges. "We believe that the pictures on the Internet and the ones that you just showed me are staged," he told WZVN-TV in the article cited supra. 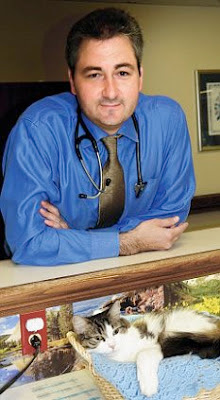 As it was to be expected, Swee vociferously disputed that charge in the e-mail letter cited supra and instead claimed that the task force had found only thirteen out of six-hundred cats that were in need of veterinary care. Furthermore, he maintained that of those six already were receiving treatment at the sanctuary's infirmary. The task force disagreed and presented him with three options. The first of which was to post an immediate bond of $50,000 and to establish a permanent endowment in order to ensure that the cats received proper veterinary care. He rejected that alternative out of hand because he said that he was broke. The second option presented to him was to kill all six-hundred cats which he humanely rejected. If it is true that the task force did in fact make such a demand its members are a thousand times worse than Swee. 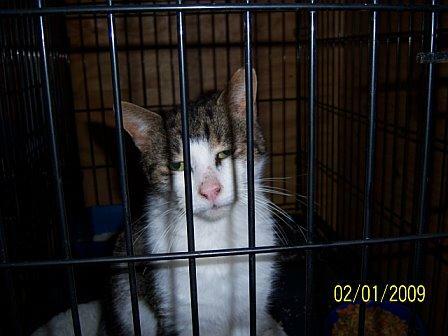 The third option presented to him was to surrender the cats to LaBelle Animal Control which he did on November 17th. He shortly thereafter walked away from Tenth Life and although he had promised subscribers to his newsletter a fuller explanation, nothing further was ever heard from him. He was investigated for animal cruelty but never charged. It also is unclear why the task force did not take control of Tenth Life and keep it open for the cats. After all, that not only would have been the logical thing to have done but, just as importantly, it was the cats' home. It needed to be cleaned up and some new equipment purchased but that was about all. Water and food are cheap and low-cost veterinary care as well as voluntary caretakers could have been procured for the cats. Even if Swee had objected he was not in any position to dicker considering his own culpability in this case. Nevertheless, the sanctuary was closed and its current status is unknown. Much more importantly, Swee's quietus did not prevent a mass slaughter. Immediately upon seizing power, Levy and her fellow henchmen killed off the either thirteen or seventeen cats that they claimed were sick. Still thirsting for additional feline blood, they did away with another ninety-three to ninety-seven cats between November 23rd and November 25th. This brought the total number of cats that the task force exterminated because they allegedly were ailing to one-hundred-ten. In all probability, most of them could have been saved if they had been given proper veterinary care and rehabilitation. Moreover, since all of the groups involved in this so-called rescue have money out the wazoo a shortage of funds was not a problem. Before the task force closed up shop in either late November or early December it polished off another seventy-five cats that it freely admits were in perfect health. Just as it was too lazy and too cheap to treat the sick cats, it was every bit as cheap and lazy to secure homes for the healthy ones. 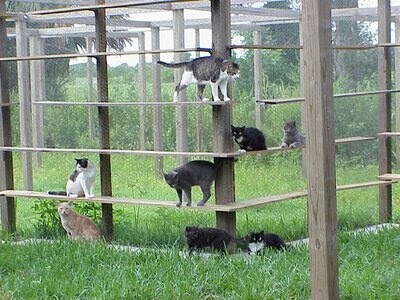 Although UF claims to have secured homes for the remaining four-hundred-ten cats, it is rather short on specifics. For example, it claims to have given five cats to Best Friends Animal Society in Kanab, Utah, and another forty-six to the Animal Refuge Center (ARC) in North Fort Myers. In spite of having blood all over their hands, Levy and UF are feeling mighty proud of themselves these days. "This fifteen per cent euthanasia rate for the savable cats is in stark contrast to the vast majority of large-scale cruelty impoundments in which mass euthanasia is the most common outcome," they declared in the press release cited supra. First of all, Levy and her fellow high-strutters and big-talkers at UF know as well as everyone else who owns a dictionary that there is a huge difference between mass murder and euthanasia. She therefore is being dishonest when she labels the slaughter of seventy-five cats as a mercy killing. Second of all, the systematic extermination of at least one-hundred-eighty-five out of six-hundred cats is closer to a mortality rate of thirty per cent than it is to fifteen per cent. Only a heartless group of merciless killer ever could be proud of such a record. It also needs to be recognized that anyone who plays as fast and loose with both language and statistics as Levy does has very little credibility. Much of the same criticism is applicable to all professors who time and time again display an utterly appalling lack of both ethics and morality. With them, any lie and cold-blooded expediency will do so long as it helps them to get on in the world. In their classrooms they may gas about high ideals but au fond they are every bit as hollow as a dried-out gourd. "The vast majority of cats sent to this sanctuary died within a few years of arrival and many of the survivors had substantial medical conditions and carried multiple infectious diseases," Morgan declared in UF's press release. "Some had even arrived as victims of previous cruelty and hoarding investigations." Those statements constitute the very epitome of hypocrisy in that oversight of Tenth Life was the responsibility of LaBelle Animal Control which year after year gave that feline hellhole a clean bill of health. Moreover, Morgan's inclusion in the task force only can be viewed as a reward for his failure to have done his job. The full extent of the carnage at Tenth Life likely never will be known. For example, on his 2007 taxes Swee claimed that he was caring for more than twelve-hundred cats. When asked by WZVN-TV what had happened to the other six-hundred cats, he nonchalantly replied, "Okay, they have usually passed on." Apparently, he did not see anything alarming about a mortality rate of fifty per cent or better. "It can happen in an environment like ours." Make no mistake about it, there is good money to be made from the exploitation and abuse of cats. Swee, for example, reportedly collected $550 for every cat that he took in at Tenth Life. He also received donations from the public and held fundraisers. For whatever it is worth, he claimed in his August of 2008 newsletter that ninety per cent of the funds that he took in went for the care of the cats. On that point he most likely is lying. Even if he is being truthful he did not have any business taking in more cats than he could legitimately feed, house, and treat once they became sick. Furthermore, unwanted cats are not the only ones who fall victim to commercial exploitation. 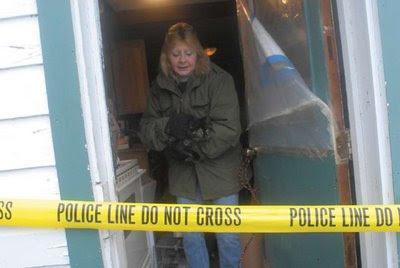 Last month, for example, forty-three-year-old Michelle A. Courter of 63 Main Street in Old Mystic, Connecticut, was arrested for trapping domestic cats and then peddling them on petfinder.com. She is believed to have stolen cats from Groton, Quaker Hill, New London, Uncasville, Norwich, and Stonington. Included in the roll call of institutions and individuals who nakedly exploit and kill cats are, inter alia, municipal shelters and Animal Control, breeders of purebreds and designer cats, pet shops, vivisectors, fur traffickers, consumers of feline flesh in China, Australia, Peru, Switzerland, and Costa Rica, and the makers of crush videos. Despite the horrific abuses that occurred at Tenth Life and Cats With No Name, sanctuaries and private no-kill shelters are a big improvement over the trap and kill policies practiced by public shelters and Animal Control. It also is conceivable that a few of them might be operating on the level although nothing can be taken for granted. No mater how the situation is analyzed, the status of cats is deplorable. On the one hand there are multitudes of individuals who look upon the species simply as a meal ticket. These individuals accordingly could care less about either how much suffering they inflict or how many cats that they kill. On the other side of the equation are those individuals and groups who, like PETA, worship at the altar of death. As far as they are concerned, cats only exist to be exterminated. With there being so many of them, both domestic and homeless, cats are an easy target for both exploitation and cruelty. The fact that neither their births nor deaths are officially recorded presents a golden opportunity for all sorts of mischief. From womb to tomb all societies treat them as expendable nonentities. They are born, exploited, and then prematurely killed. Two things must be done in order to change all of that. First of all, the killing of cats under all circumstances must be outlawed. Secondly, individuals and groups who persist in killing and abusing them must be given mandatory, long-term jail sentences. In the case of Tenth Life, Swee, Levy, and Morgan should be in prison serving lengthy terms. The same holds true for the representatives of Maddie's Fund, HSUS, and the ASPCA who participated in this mass feline liquidation project. That is the only possible solution. Individuals like Swee are not about to stop exploiting cats and phony-baloney humane groups like Levy and UF, HSUS, the ASPCA, and LaBelle Animal Control are never going to mend their evil ways. Photos: Care2.com (Swee), Tenth Life (cats lounging outside), University of Florida (Levy), and Animal Refuge Center (Feisty Boy and Misty Morning). You may or may not have heard that we are in the process of shutting the sanctuary down. In about a week I'll be sending out a detailed newsletter telling everyone the full story of what happened. The purpose of this email is to give you some background and ask you to follow the procedures described later in this email to take back your cat(s) or adopt new ones. These cats should not have to suffer. Please help. Simply, animal terrorists, probably from the Animal Liberation Front (ALF) and/or the Animal Rights Foundation of Florida (ARFF) (Google them), have been attacking us with a terrible untrue YouTube video about the sanctuary and physical acts against us. These people typically let animals out of cages, burn facilities that use or house animals, and go after executives of these facilities. They also destroy/steal files to make it look like the facility was not keeping records. In our case, they stole some written medical records that we are required to keep on-site. Our records were not kept on a computer (which they would have probably stolen, too). These attacks were a good part of the reason we had to close. 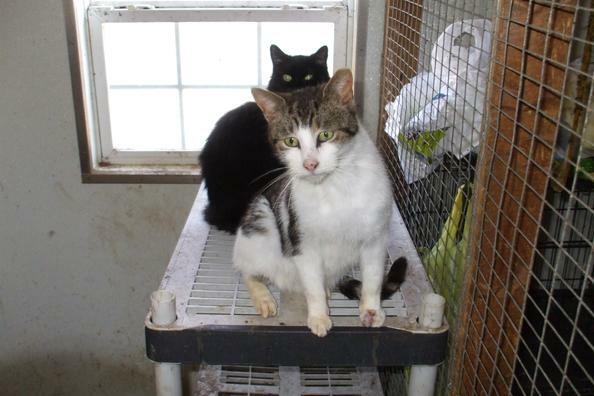 On Monday morning November 16, 2009 we found 45 of our cats outside their pens in a nearby field. They were let out the night before. Later in the week someone broke into our building and let all the cats in the isolation and treatment areas out of their cages to roam freely inside our building. Unfortunately, our building has open windows and a number got outside. Whoever did this also stole the medical records that were on top of the cages. Monday morning, November 23, 2009 (a week later), we found a chicken wire wall had been kicked out of pen 3N and a whole pen of cats were wandering around outside. Many, not all, of the cats that had gotten out over the 8 day period have been caught and returned to safer pens. We are trying to trap the rest. The terrible untrue YouTube video and the pressure on the County Commissioners these terrorists caused (because of the YouTube video), forced Animal Control to create a major Task Force to investigate the claims shown in the YouTube video. 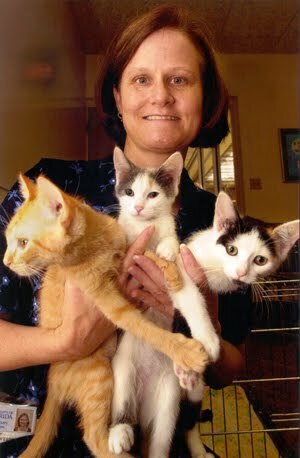 Animal Control contacted Dr. Julie Levy of the University of Florida (perhaps the most knowledgeable cat veterinarian in Florida) to participate in the Task Force. Animal Control also contacted the Humane Society of the United States (HSUS) in Washington DC and the American Society for the Prevention of Cruelty of Animals (ASPCA) in New York City and asked them to participate in the Task Force. Both HSUS and the ASPCA sent a team of investigators and veterinarians. The Task Force also included various law enforcement people. The Task Force showed up, unannounced, at 8:30 AM on November 16, 2009 to see if they could find anything that looked like the YouTube video at our sanctuary. If they did, I probably would have been arrested for animal neglect. THEY DID NOT find anything like the YouTube video and I was not arrested. They spent 4 hours checking out each of our cats. At the end, they had a meeting and then invited me into the meeting to tell me what they had found and what could happen based on their findings. They found 13 cats (out of 600+) that, in their opinion(! ), needed immediate veterinary care. (As you probably know, under the Florida Veterinary Practices Act, 474.203 Exceptions, paragraph 5a, owners of animals can legally provide medical care for their animals without a veterinarian's input - except for prescription drugs, certain vaccinations, and certain surgeries which a vet has to perform or prescribe). Six of the 13 cats were already in our infirmary and being treated by us. The other 7 were in some of the outside pens that we had not (yet) found to be sick. The Task Force vets said that if I did nothing, they could have me arrested for Felony Animal Neglect in which case they would immediately shut the sanctuary down and euthanize all the cats. It was not that one or two cats needed the immediate vet care, but that there were more than 10 - and 10 sick cats was enough to qualify for the Task Force to charge me with abuse - even though the remaining 590+ cats were within "normal" ranges. But they didn't charge me. 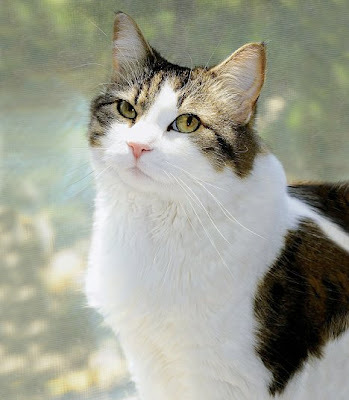 · First, I could post a $50,000 bond to guarantee that the 13 cats and all other cats at the sanctuary would receive any needed medical care AND I'd have to provide financial proof that I could continue providing care in the future such as an endowment or trust fund for our cats. In addition to suffering from the terrorist acts, we were also out of money (virtually no donations in the last month) and could not post the required $50,000 bond that would insure the safety and well-being of our cats. We also had no such endowment or trust fund that could guarantee the future well-being of the cats. 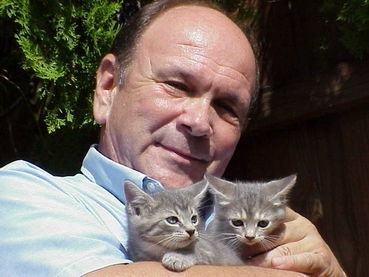 · Second, I could euthanize all the cats. I did NOT want this option. Teams to come to the sanctuary to vet each cat and then try to place them in their networks of sanctuaries, shelters and rescue groups. They said they will try to place even our sick (FIV and Leukemia) cats -- and our ferals. But they made no guarantees on placing ALL of our cats... they would do their best and try to place them all... those that couldn't be placed by December 8, 2009 would be euthanized. I had no other choices. I have not been able to find a really wealthy person in the almost 8 years of operating the sanctuary that I could turn to for help. I had to take the third option in an effort to save as many of the cats as I could. On Tuesday November 17, 2009 I signed over ownership of the cats to Animal Control. The cats remain at the sanctuary but I have to continue providing the necessary labor to clean and feed the cats. Animal Control would provide the food and litter. The labor, electric and other operating costs I'd also have to provide (or the deal was off). I've been able to raise enough for payroll, but am still $2,500 short for the other things (a $700 electric bill, a $500 garbage bill, etc.). Six days later, at 7 AM Monday November 23, 2009, the Disaster Relief Teams showed up at the sanctuary. About 30 vehicles, including mobile vet hospitals and equipment trailers, and about 75-100 volunteers swarmed over the sanctuary grounds. A truckload of food, litter and carriers arrived from PetsMart Charities. The teams commandeered our building and set up exam rooms... each cat was going to be fully vetted and given shots (whether they needed them or not). Part of their relocation effort for our cats is to contact prior owners of cats that came to our sanctuary and see if the prior owners can take their cats back (if the records are available and were not stolen). Most people who gave us their cats gave us their cats because they had a problem with them and I doubt that many will be able to take the cats back. But the more that can be re-homed, the better. Animal Control has set up an adoption outreach program... if anyone wants to adopt any of our cats please submit your transfer request -http://www.ufsheltermedicine.com/documents/TransferRequestForm.pdf (if you are a 501c3 organization) or adoption/reclaim application http://www.ufsheltermedicine.com/documents/AdoptionApplication.pdf (for individuals or original owners) applications today. There are approximately 200 healthy friendly cats and 150 healthy ferals. 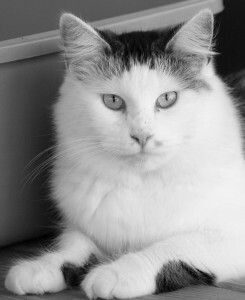 The remaining cats may be sick with FIV or FeLV or may need minor medical care. There is one totally blind and deaf black cat. or fax it to 863-675-0037. With this number of animals, there is great need. I hope you'll find a way to join the effort to re-home our cats. There are many very friendly cats that crave attention; some are declawed. These cats find themselves looking for something to be thankful for this holiday - please help. I know that some will not get placed before the Dec 9 deadline when HSUS and ASPCA will finish... The remaining cats will probably be euthanized. I don't know if anyone has called you about taking back your cat(s), but I do know that a team from Animal Control is calling prior owners to see if they can take their cat(s). You can also call LaBelle Animal Control at 863-675-3381 and leave a message if you want your cat back - but you'll be told to download the above forms, fill them out, and email or fax them back to Animal Control. Bottom line: we haven't been able to find all the cats that were let out of their pens or cages. Therefore, returning these cats to their prior owners may be impossible. It would be helpful if you have the microchip number for each cat (if you chipped the cat(s) before I took them from you). 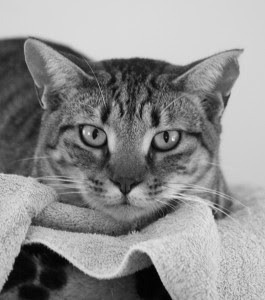 It is unlikely that we gave you the microchip number we inserted into the cat upon arrival at our sanctuary because you had no need for that information once they were admitted to the sanctuary. We file by sequential chip number, not by the name of the person who gave us their cat... so to find your cat, we will need a chip number. Be sure to include the chip number(s) when you contact Animal Control. And ask them how soon you can come get your cat(s). "Animals were left to starve, freeze, abandoned, no food, no water, for quite a long time. Left to die. This (ruling) is sending a message to the rest of Schuylkill County that animal cruelty is not taken seriously." For thirteen long years fifty-year-old Virginia Kresge Justiniano of Enola operated the Cats With No Name (CWNN) sanctuary at 33 Walmer Lane in Pine Grove, one-hundred-twenty-two kilometers outside of Philadelphia. For either all or part of that time she was assisted by her thirty-eight-year-old paramour, Andy J. Oxenrider of Tower City. As far as the outside world knew, the duo took in considerable cash and did quite well. For example, on their old web site they claimed to have sterilized fifteen-thousand cats and dogs between 2006 and early 2009 as well as having vaccinated and treated thousands of others. What they were doing between 1996 and 2006 is anybody's guess and even their claim to have kept dogs is a little suspicious. Leaving all of that aside for the moment, Justiniano and Oxenrider declared on their web site that CWNN is "dedicated to improving the health and welfare of all animals" but that it specialized in "working with ferals and homeless cats." Justiniano even went so far as to make the following altruistic boast: "It is my dream...to one day be unemployed...because the animals are all safe...and loved...and I am no longer needed." A routine traffic stop of Oxenrider by Pine Grove Police Officer Jeff Futchko on January 24, 2009 changed all of that forever and exploded his and Justiniano's carefully crafted public facade. It also set in motion a series of bizarre events that ultimately proved beyond a shadow of doubt that the type of assistance Justiniano had been providing the cats was the very epitome of cruel and inhumane. Initially, however, Oxenrider was charged only with driving with a suspended license, drug possession, and of offering a $500 bribe to Futchko. One thing led to another as it usually does in these types of investigations and Futchko soon found himself at CWNN. 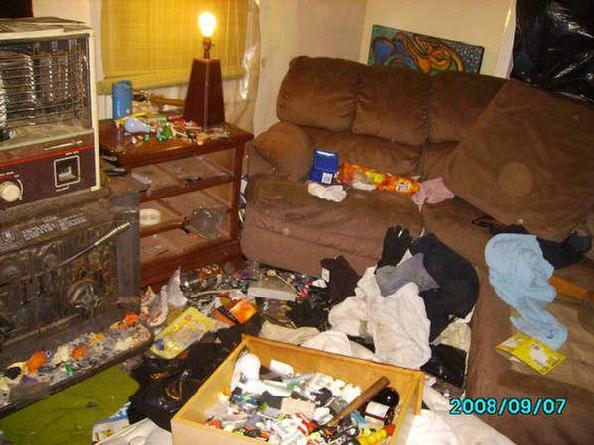 Although he no doubt had expected to find additional drugs and paraphernalia, he was ill-prepared for the scope of what he uncovered. "This was basically a shoothouse. Heroin, meth (methamphetamines), whatever they could get their hands on," his partner, Officer Mark Resue, added in the same article. "You can't step foot in that house without stepping on a hypodermic needle." As prodigious as it was, Justiniano's and Oxenrider's drug abuse paled in comparison with the condition of the approximately one-hundred-twenty-eight cats that were being held hostage at the so-called sanctuary. None of them had food, water, heat, or litter boxes. In fact, excrement was six-inches deep! Deprived on veterinary care for an extended period of time, many of them had broken bones, abscesses, infected lacerations, and dental diseases. Just about all of them were suffering from respiratory ailments, the Feline Immunodeficiency Virus (FIV), Feline Leukemia (FeLV), ringworm, dermatitis, ear infections, and fleas. Meningitis and e-coli also were present. "It's a real shame that these cats had to suffer and die and go through hellish conditions. It was like Auschwitz," Ms. Miller, who owns Rockroad Trucking in Washington Township, Schuylkill County, and lent her garage as a makeshift shelter for the cats, told The Morning Call of Allentown on March 6, 2009 in a video. (See "Survivors of 'Kitty Auschwitz' Healing in Schuylkill County, Thanks to Outpouring.") "The stories I've heard of cats with snot hanging off their faces frozen solid. It was just bad. Cats frozen to the ground (and) under the ice." "I am very rarely speechless, but I can't even put into words what I saw," Kim Pribella of the SPCA told the Republican and Herald on January 29, 2009. (See "Workers Euthanize Thirteen Rescued Felines.") "I couldn't even in my wildest dreams describe it." In addition to the cats, an unspecified number of deer, geese, ferrets, and chickens also were found at the compound. Unfortunately, it has not been possible to determine why they were there or, more importantly, what was done with them. The police also had sections of the compound cordoned off as a crime scene and the landlord, eighty-four-year-old Emma Wolfe, exacerbated an already difficult situation by promptly ordering both the SPCA and the cats off the premises. What role, if any, she may have played in the horrific abuses that took place is not clear, but as the owner she is in part responsible for Justiniano's and Oxenrider's crimes. In addition to merely neglecting the cats, Justiniano and Oxenrider were using funds donated to CWNN in order to purchase drugs. They even were selling donated cat food in order to get high. "They hit an all-time low and started selling the cat food for drugs," Resue added in the January 28, 2009 Republican and Herald article cited supra. The police even found a storage shed chock-full of cat food that Justiniano and Oxenrider were saving in order to sell for additional drug money. Totally unconcerned that the cats were dying of starvation, dehydration, hypothermia, and a total lack of veterinary care, Justiniano eventually vacated the premises in favor of the considerably more salubrious confines of a nearby Econo Lodge in order to escape the stench of death and feces. As difficult as it is to comprehend, both Justiniano and Oxenrider earlier this year got off with probation and minuscule fines thanks to plea bargains negotiated by their attorneys with Schuylkill County Assistant District Attorney Douglas J. Taglieri. For her part, Justiniano was charged with one-hundred-seventeen counts of animal cruelty, twenty counts of drug possession, and two counts of possession of drug paraphernalia. 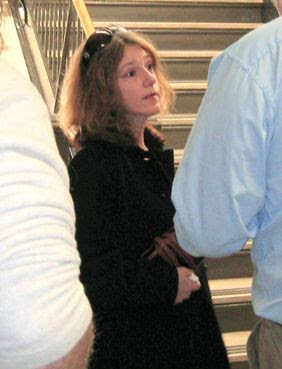 On February 18th, Schuylkill County Court Judge Charles M. Miller sentenced her to twenty-three months of probation, $800 in fines, $1,360 in restitution that is go to the state police crime lab in Bethlehem as opposed to the good people at the SPCA, plus fifty hours of community service. She also was banned from owning any animals for ten years. "She was using drugs and the drugs took over her life," Jeff Markosky, her attorney, told WNEP-TV. "She was never a drug user but she began using and lost control." This loathsome ruling left Ms. Miller livid. "Animals were left to starve, freeze, abandoned, no food, no water, for quite a long time. Left to die," she told the judge according to WNEP-TV. "This is sending a message to the rest of Schuylkill County that animal cruelty is not taken seriously." Caring absolutely nothing about cats and being completely devoid of any sense of justice, Judge Miller was not about to be swayed. "This is the best result," he is quoted by the Republican and Herald on February 19th as cavalierly brushing aside her criticism. (See "Woman Admits Animal Cruelty, Drug Possession.") "This is the best we can do right now." Well, if that is indeed the very best that cat-lovers and those who wish to live in neighborhoods that are free of drug addicts and their vicious crimes can expect from jurists in Pennsylvania, a thoughtful person trembles at what the worst might be. That possibly could entail the granting of letters of marque to habitual criminals as well as erecting statues in their honor. "She accepted responsibility," Markosky bellowed in the February 19th Republican and Herald article cited supra. "To say that she's not being held accountable is just not the case." On both counts he clearly is blowing it out both ends in a pathetic attempt to hoodwink the public. By her own admission she definitely has not accepted responsibility for killing all of those cats. She merely copped a plea in order to stay out of jail. It is going to be interesting to see if Markosky represents her in her planned lawsuit and what leger de main he will be able to come up with in order to stand all logic, morality, and truth on their heads. A day earlier on February 17th, Oxenrider was given an identical sweetheart deal in the same court by Judge Cyrus Palmer Dolbin. In doing so, he pled guilty to one-hundred-seventeen counts of animal cruelty, nine counts of drug possession, one count of conspiracy to possess drug paraphernalia, and one count of possession of drug paraphernalia. In return, the overly generous prosecution dropped eleven counts of drug possession and the bribery charge. "You're charged with doing a lot of bad things," Dolbin told Oxenrider in what has to qualify as the understatement of the year. (See Republican and Herald, February 18, 2010, "Tower City Man Admits Animal Cruelty, Drug-Related Charges.") "I counted one-hundred-seventeen animals that you mistreated." Following their arrests, both Justiniano and Oxenrider were jailed but the media never have specified how long they were held before posting bail. All that is known is that Oxenrider spent "several months," whatever that means, behind bars. With presumably more cash on hand, it is difficult to believe that Justiniano had anywhere nearly as much trouble in raising the ten per cent of the $25,000 bond under which she was being held. With judges like Miller and Dolbin on the bench and a prosecutor such as Taglieri representing the citizens of Schuylkill County it is completely understandable why so many cats and kittens continue to suffer and die at the hands of individuals like Justiniano and Oxenrider. "I lost my kitty and don't know where it got to and she (Justiniano) may have had him and it's awful to think that he may have suffered like that," Pine Grove resident Jane Belghali lamented to WNEP-TV. Likewise, it is not any mystery why the streets are unsafe to walk and the highways resemble a demolition derby. Citizens are not even secure behind locked doors with drug abusers willing to commit almost any offense in order to finance their addictions. In fact, the Pine Grove Police initially suspected Justiniano of being involved in a burglary ring but no such charges ever were brought against her. The lesson to be learned from these cases is that the lives of cats and kittens count for very little with Pennsylvania jurists. Furthermore, these stench-of-the-bench judges are in love with junkies and as a consequence no resident's life and property are secure. For those in Pennsylvania who care about cats and believe that junkies belong in jail the way forward is clear. If judges like Miller, Dolbin, and Gartley are elected by the people, it is imperative that they be voted out of office at the earliest opportunity. The same holds true for prosecutors like Taglieri who side with criminals against both cats and the public. These cases also raise the troubling issue of just how sanctuaries, shelters, grooming parlors, and other establishments that either house or service animals are licensed, monitored, and regulated. Clearly, in both Pine Grove and Sweet Valley the authorities are asleep at the switch. In conclusion, the only positive development to come out of the wholesale suffering and deaths that occurred in Pine Grove was the belated support that the cats received from area residents. "Out of all that horror a lot of good things have happened," Ms. Miller related to The Morning Call in the March 6, 2009 video cited supra. "My faith in human beings has been restored when I see so many people volunteering their time, money, donations, firewood, help (and) work." She went on to add: "I've been very blessed and grateful for everything I've been given in this life. God's treated me very well. You have to give it away to keep it. It's not about me; it's about the cats." That is one claim that neither Justiniano nor Oxenrider ever will be able to make. One of her dreams did come true, however, in that she is now unemployed. Photos: Andy Matsko of the Republican and Herald (Cavanaugh), Ruth M. Steinert Memorial SPCA (the outside and inside of CWNN and the survivors), and Care2.com (Justiniano). "Cats are inquisitive creatures so he may have decided to explore the contents of the lorry, or it may be that he was hiding in there after being chased." Workers at Scotwaste's Materials Recycling Facility in Bathgate, West Lothian, received quite a jolt last month when one of their garbage haulers dumped his load. Wedged in between discarded mattresses, refrigerators, ironing boards, sofas, and other miscellaneous debris was a black and white cat named Alfie. Covered in dust and dirt from head to toe, he was rushed to Lamond Veterinary Clinic in nearby Livingston by Emma Phillips of the Scottish SPCA. Miraculously, Alfie came through his rough and tumble ordeal with only a bruised leg. He was corralled in a shed where the garbage is sorted before being crushed and recycled. If he had been hiding in one of the discarded items, he likely not only would have been crushed to death but his demise would have gone undetected. Although the handsome tom was outfitted with a collar, tag, and a bell, the tag inexplicably did not contain any information as to his owner. 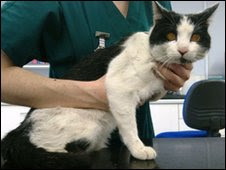 He accordingly was taken to the SPCA's shelter in the Edinburgh suburb of Balerno. "We're just delighted to have him home with us," Mrs. Cranston told the BBC on April 27th. 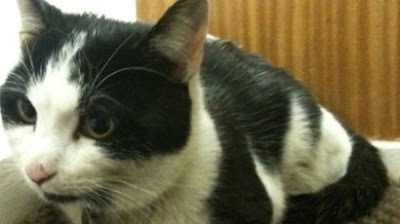 (See "'Recycled' Cat Saved from Rubbish.") "He's in need of a bath, but he's still very scared at the moment, so we'll leave the shampoo to set until he's had a chance to settle in." On that contentious point, Mrs. Cranston would do well to remember what Stephen Baker once said. "To bathe a cat takes brute force, perseverance, courage of conviction, and a cat," he opined. "The last ingredient is usually the hardest to come by." As to how he wound up at the recycling plant, the Cranstons speculate that Alfie may have jumped aboard the truck for a joyride. Phillips, on the other hand, places the blame squarely upon the shoulders of that old feline bugaboo curiosity. A much more likely explanation is that Alfie was either hiding or playing inside an old mattress that the Cranstons had put out by the curb in order to be collected by Scotwaste. Since the mattress was crushed weeks ago, it is unfortunately too late to examine it for hiding places. That theory finds support in the misadventures of a two-year-old cat named Autumn from Richmond, Virginia. On February 14th of last year, she was playing in a mattress and box-spring set that her guardians, Ann and Wayne Crews, had tossed out when they ordered a new bedroom set from Haynes Home Furnishings of Williamsburg. Haynes collected the old mattress and box-spring and took them back to its warehouse in Williamsburg. It therefore was not until six days later when store employees Wilbert Davis and Norman Bleech were disposing of them at the city dump in Suffolk that they first discovered Autumn's presence. On February 19th of last year, Spokane resident Bob Killion donated a couch to a thrift store that Vicky Mendenhall purchased six days later for $27. On March 10th, she and her boyfriend discovered Killion's cat, Callie, trapped inside the couch. The lesson to be learned from the exploits of Alfie, Autumn, and Callie is that all discarded furniture should be gone through with a fine-tooth comb, even at the curb, for stowaway cats. Although it is difficult to say with any certainty how many cats and kittens are killed at recycling plants and city dumps each year, if the number of publicized last-minute rescues is any indication this is a major problem. For example, a litter of kittens was rescued only last year from an automobile that was slated to be crushed at Scotwaste. 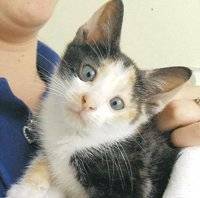 She later was turned over to Cats Protection in nearby Wrexham, Wales, and that was the last to be heard of her. Hopefully, she is still alive and in a good home. Although bad enough in its own right, the problem of cats and kitten that accidentally wind up in city dumps and at recycling plants is dwarfed by that of all the evil individuals who use the waste disposal system in order to purposefully kill them. Last August, for example, an orange and white cat named Duff was sealed up inside two canvas bags at a Spokane apartment complex and tossed out with the trash. Because of the prevalence of this problem, the time has come for all of those involved in waste disposal, whether they be janitors, haulers, recycling plants, or whatever, to begin either x-raying or electronically scanning all refuse before it is either dumped, crushed, or burned. If this safety precaution were mandated by law, innumerable cats and other animals could be saved each year. It undoubtedly also would lead to the discovery of countless fetuses as well as the remains of numerous missing persons. Picking through the trash obviously is a distasteful task but as long as there are individuals who insist upon using it in order to dispose of live cats and human remains it is idea worthy of consideration. Photos: Scottish SPCA (Alfie) and Wrexham Evening Leader (Penny). "Le christianisme est le plus ridicule, la plus absurde, et de la religion sanglante qui ait jamais infecte le monde." This long simmering dispute attracted international attention last July when the church ordered the cats' feeding station and a pair of winterized shelters removed. As a consequence, the cats were forced to go without their daily rations of food and water for two weeks. 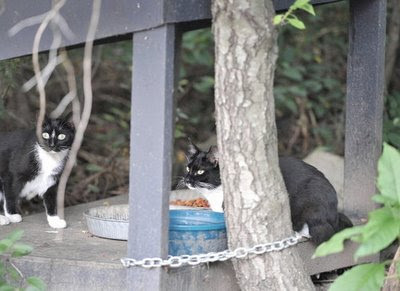 Under a compromise brokered by Alley Cat Allies (ACA), the felines were allowed to remain after their feeding station and shelters were relocated to a more remote section of the property. Three battery-powered motion detectors that emit high-pitched sounds also were installed in order to keep the cats off of the Baptists' precious lawn and out of their flowerbeds. The cats, who know absolutely nothing about bigotry, unwittingly have become pawns in a tug-of-war between the black churchgoers and the whites who care for them. The blacks resent the whites' encroachment upon their turf but none of that in any way helps the cats. Moreover, it is highly probable that some of these unfortunate cats were cruelly abandoned by blacks, including members of Turner's flock. Their care and safety therefore are the responsibility of the entire community including Northside Baptist. As if the ailurophobic declarations of Turner and Watson were not warning signs enough that this impromptu agreement rested on shaky grounds, Turner's refusal to sign it should have been the clincher. Rather than putting pen to paper, he entered into an oral agreement with ACA which he euphemistically termed as an "act of faith." Turner now has abandoned whatever fig leaf of faith he once may have had and wants rid of both the cats and their providers. "My congregation has come to the conclusion that they (sic) no longer want the cats on the property," he told the Baltimore Sun on April 22nd. (See "Church Set to Evict Feral Cats.") "Eviction notices are being served." Apparently, ACA and Northside Baptist have not spoken since September and a joint review of the arrangement scheduled for January never took place for unknown reasons. In fact, ACA learned of the church's precipitate action from the media. "We had an agreement they would notify us if they had any issues," ACA's Elizabeth Parowski told the Baltimore Sun in the article cited supra. "We e-mailed him about a month ago to see how everything was going" but did not receive a response. While it is conceivable that this ruptured agreement could be repaired, that would not be a good idea. The cats need and deserve a secure and permanent home and it is unlikely that the mendacious Baptists ever will keep their word. The only conceivable way that they could be enticed into allowing the felines to remain would be if ACA were to pay them rent. After all, Christians are every bit as mad dog for a buck as Goldman Sachs. Watson slyly indicated that he might be open to such as arrangement last July. "They're only here to feed the cats and protest," he complained about the cats' feeders. "They don't care about this place." Strangely enough, ACA does not seem to be especially concerned about the church's decision. "Although we regret the congregation's decision to cease support of trap-neuter-return and evict the feeding station and shelters, we are working with the church to remove them," it stated April 23rd on its web site. "More importantly, the impact upon the cats is minimal. They will no longer be fed and sheltered on church property, but they remain part of the community and will still be cared for by neighbors and volunteers." It is unclear how this new plan will work in practice, however. Although there is a feeding station located on the nearby property of Greg Eames, it is doubtful that he would be willing to accept the presence of up to forty cats plus their shelters. Much more importantly, if alternative sheltering and feeding sites are readily available, it is odd that ACA would have wasted its time with Northside in the first place. The devil is in the detail, however, and since none of the logistics have been publicly disclosed by ACA it is difficult to speculate as to what the future holds for the cats. There may be other residents who would be willing to accept some of the cats but that would not in and of itself necessarily keep them off the church's property. Most likely that would require the church to install a high fence. 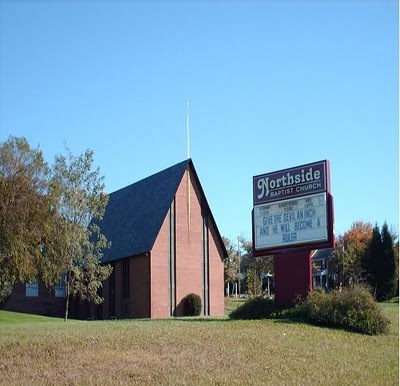 Since the grounds of Northside Baptist are considered to be private property, it is going to be exceeding difficult for the cats' caretakers and ACA to prevail in court. Therefore, if the cats cannot be confined to surrounding properties, part or all of them may have to be relocated. That truly would be unfortunate because relocating a domestic cat is difficult enough but moving a colony of homeless cats is an almost impossible task. First of all, the cats would have to be trapped and that difficult job is made all the more onerous because some of them would have to be starved half to death before they would enter a trap. Secondly, a new home would have to be secured for them along with caretakers, feeding stations, and shelters. If such a location is not immediately available, the cats would have to be temporarily housed in either cages or sanctuaries. It therefore is not surprising that ACA and other knowledgeable rescue groups and individuals go to such extraordinary lengths in order to avoid relocating homeless cats. Hopefully, a few of the cats may be suitable for immediate adoption. Even if Northside is able to successfully get rid of these cats, that is unlikely to be the end of this matter. Residents of the community are going to continue to abandon cats and sooner or later some of them are going to wind up at the church. It therefore actually might be better off with a managed colony on its grounds but, blinded by ailurophobia and racism, it is amenable to neither compassion nor reason. "It's heartbreaking," Denise Farmer, one of the cats' caretakers, said last July. "It's completely unbelievable how cruel these people are." The Baptists' glaring hypocrisy and ruthlessness have not been lost on Darlene Harris of the Baltimore City Animal Response Team. "These poor cats," she moaned last July. "This is a church and we want to respect that, but we also want them to have some respect for animals." On that vital point, it would appear that Harris and other supporters of the cats are totally out of luck. "The trouble with born again Christians is that they are an even bigger pain the second time around," former longtime San Francisco Chronicle columnist Herb Caen once wryly observed. Speaking more generally, Christianity always has been more or less hostile to cats. "Le christianisme est le plus ridicule, la plus absurde, et de la religion sanglante qui ait jamais infecte le monde," Voltaire once observed. With hatred of cats being so virulent at Northside Baptist, around-the-clock protection and monitoring of the cats would not be an excessive precaution for their caretakers to adopt. Photos: Northside Baptist (church and Turner) and Gene Sweeney Jr. of the Baltimore Sun (cats).